Now, more than ever, the public and nonprofit sector at every level needs people committed to serving the greater good of society. UCO’s Master of Public Administration prepares you to take a leadership role in public service, contributing to meaningful programs and advancements that make our communities thrive. The UCO MPA is a 36-credit hour program that is usually completed within two years of full-time study. The program may also be completed part-time. The UCO MPA program is housed in the Political Science Department of the UCO College of Liberal Arts. 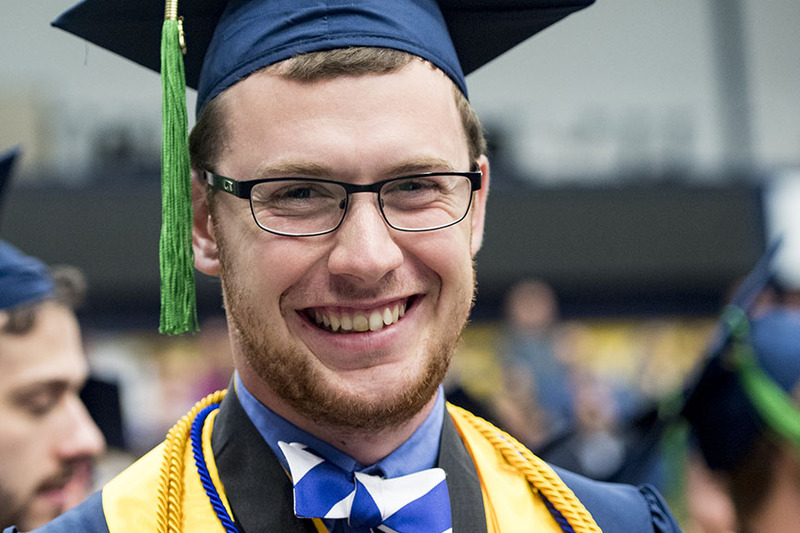 The UCO MPA is respected at all levels of the public and nonprofit sector as a quality degree that prepares graduates to succeed. Just take a look at some of the places our graduates are working in the Alumni section of the sidebar. The UCO MPA is one of the most affordable in the Oklahoma City metro, offering competitive tuition and financial assistance to those that qualify. The Tuition and Fee Estimate Calculator can help you plan ahead for the semester and provides a breakdown of current costs for attendance at the University of Central Oklahoma including: tuition/fees for your credit level for undergraduate and graduate students; application charges; International Student charges; parking permits; housing and meal plans. Estimated Financial Aid information is not provided with this estimator. UCO MPA classes are offered in the evening and on weekends at the Edmond campus and UCO Downtown in Oklahoma City, and increasingly online making it easier for those working full time to achieve their degrees. UCO MPA students enjoy small classes taught primarily by full-time Ph.D. faculty who integrate academic excellence, rigorous research, and professional experience. The UCO MPA is a professional degree that provides the training and practical skills to be successful in local, county, tribal, state, and national governments and nonprofit organizations. The “graying” of the public-sector workforce at all levels of government, especially among mid-management and professional positions best served by an MPA education, ensure continued opportunity for employment and career growth for the next several years. Growth in the nonprofit sector has increasing appeal for professionals desiring to pursue meaningful careers that make a difference. Our students are routinely placed in a variety of professional settings including local governments like the cities of Edmond, Guthrie, Pryor, and Oklahoma City; state agencies such as the Governor’s Office, Oklahoma Health Care Authority and the State Treasurer’s Office; and federal offices such as the Veterans Administration, the U.S. Secret Service, and the White House. Note that an internship is not required for the UCO MPA. The UCO Political Science Department offers 3-5 Teaching Assistantships each year. These opportunities are posted with the UCO Careers at Central and the MPA Director usually sends an email notice to all departmental graduate students at the beginning of the recruitment period (usually at the beginning of each semester if available). UCO MPA Students may also be eligible for tuition waivers, financial aid, and scholarship opportunities (scholarships.uco.edu). For a helpful listing of how to pay for school, please visit Admissions and Aid. A bachelor’s degree from an appropriately accredited institution in any field. Overall GPA of 2.75, or 3.0 in the last 60 hours. Or a master’s degree from an accredited university with an overall GPA of 3.0. Note: a student does not need to take the GRE/have a master’s degree if a student meets the above GPA criteria. Students who do not meet the GPA requirement may be granted conditional admission, but typically must complete 9 hours in required graduate MPA courses with a cumulative GPA of 3.5 or higher, as approved by the MPA graduate director.